BookTalk.org - View topic - Sell More and Better. It will change the way you think about selling. Sell More and Better. It will change the way you think about selling. Re: Sell More and Better. It will change the way you think about selling. Can a sales book be fun? When the fiction meets the art of selling the result is an original, entertaining and effective sales book. An ancient book, a sword with a soul, a Samurai with a mission, a tiger and a dragon ... 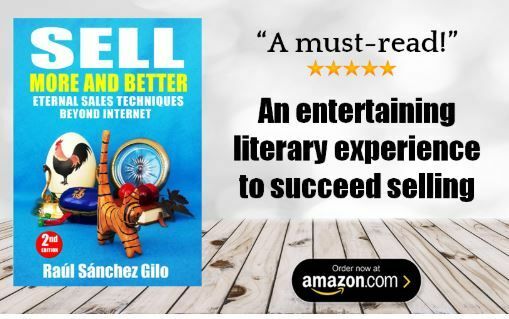 Discover what they have in common in this unique literary experience, full of principles, ideas, a lot of humor and amazing concepts to sell more and better. The best way to master the art of selling and stand out from your competitors. Easy to read, inspiring, fun, powerful and motivator. Second Edition! I am very excited to be number 1 in the 'Sales' category on Amazon Spain, as happened on 5 of August with its Spanish Edition, and I wanted to share it with you. Of course, also an honor to be next to many other great books and authors that I recommend. Many thanks to all the readers of "Sell More and Better" and "51 Sales Tips"! and please review, share in your networks, recommend it to your friends and contacts, etc. Thanks in advance!! You don't need fancy persuasion tactics, a perfect sales pitch or be the best salesman in the world. You need to know the eternal sales techniques that will always work to get more and better clients. It will change the way you think about selling. Anyone in sales will find inspiration and motivation in this original and effective sales book that provides the keys to excellent sales results. Full of principles, ideas, a lot of humor and surprising concepts. Learn in a short time what it takes years to discover about the art of selling. This week only, 50% off. Pick your copy today! There are many great books and sales systems available. Everyone has something that will help you become a better salesperson. But if you want to fully understand and maximize the benefits of those techniques and systems, you need to know the principles and fundamentals of selling to get the loyalty of your customers. Discover the keys that will help you to sellmore and succeed selling. Share the deal with your friends and contacts, they will surely thank you! 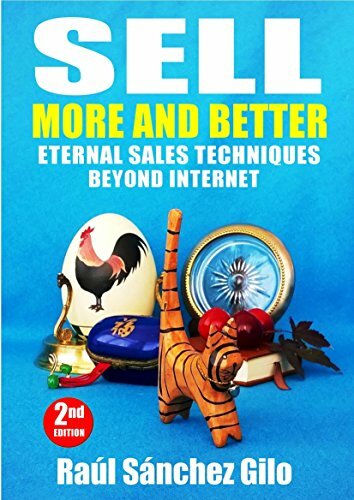 Discover the eternal sales concepts and keys to succeed selling. Specially recommended for new in sales and anyone looking to increase their sales knowledge. No gimmicks, tricks or hacks. Instead people-based selling: relationship, trust and value. ▶️ For USA and CANADA readers ONLY TODAY! KOBO US and KOBO CA are offering a 50% discount on my books. ▶️ For UK readers KOBO UK is offering a 50% discount on my books for the whole month of April. Don’t miss it! Discover in an entertaining way how to sell more and better with an original book, entertaining, easy and quick to read. Anyone in sales will find inspiration and motivation in this unique literary experience that provides the keys to excellent sales results. It is mainly recommended to beginners and even for experts who need to refresh their skills. Learn the fundamentals of a sales professional who's spent many years exporting worldwide to more than 60 countries, and on the front lines of sales. These concepts are field-tested and proven to work. If you sell, or want to sell more and better, this book is for you. Start now to differentiate yourself, download the book now and get results today!